This rectangular dining table with one 18-inch leaf creates a sophisticated place to dine with family and friends. 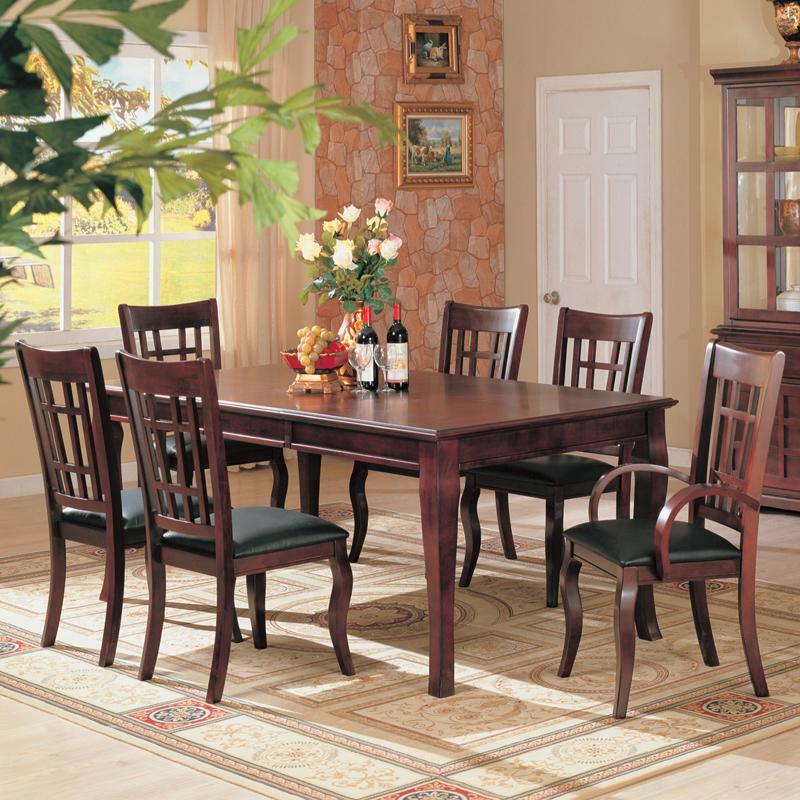 Enjoy the inviting atmosphere this table adds to your dining room with its dark Cherry finish and subtly curved legs. 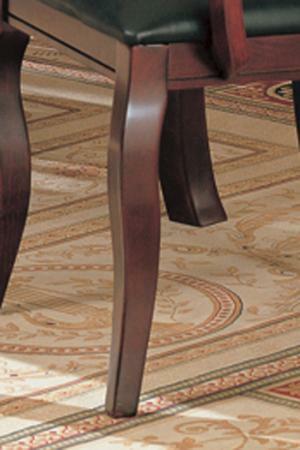 Use the coordinating arm chairs and side chairs with vinyl upholstery to complete your table group. 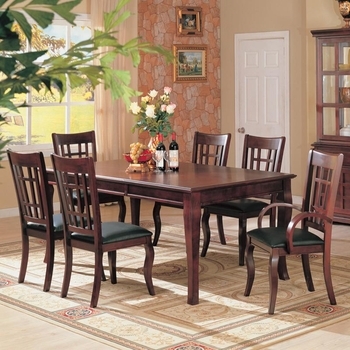 For seating, two arm chairs and four side chairs add comfort and sophistication to your dining room. The subtle curves of the contemporary arms and the cabriole legs adds transitional styling to the great chair. The dark durable leather-like vinyl upholstery on the seats of the chairs create comfort spots to sit for meals with a stylish flair.